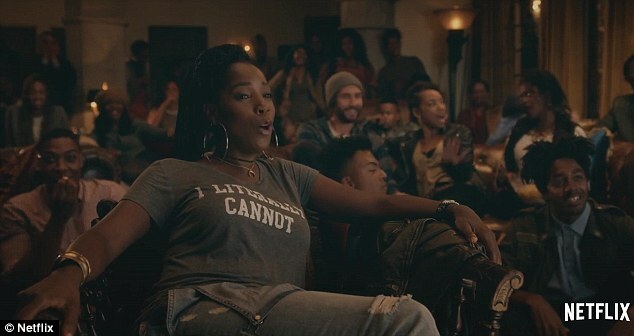 The first trailer for Dear White People has been unveiled — and not everyone is pleased. 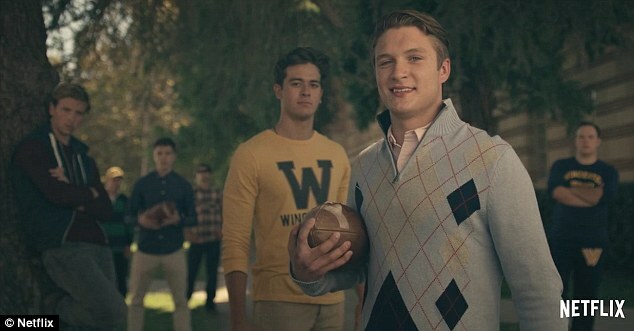 The Netflix series – which satirizes race relation in an Ivy League college – is a sequel to the 2014 film of the same name. And within minutes of the 30-second clip debuting on YouTube on Wednesday, the comments section was jam-packed with angry views… even more than usual. 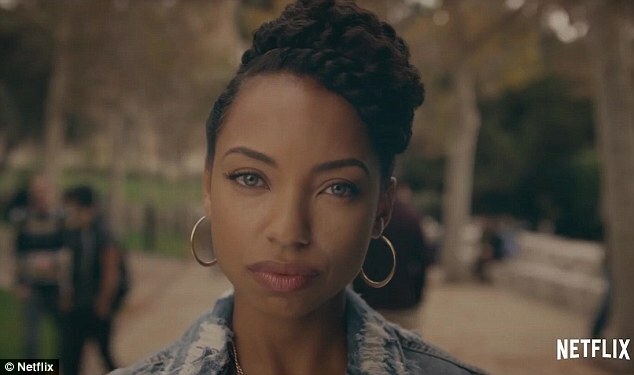 In the teaser, Samantha White – played by Logan Browning – can be heard behind the mic of her eponymous radio show. 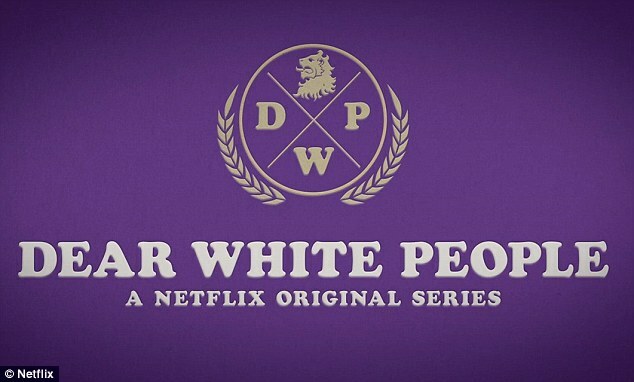 ‘Dear white people,’ she opens as Strauss’s Blue Danube Waltz plays to shots of preppy-looking Caucasians cheesily grinning at the camera. ‘Here’s a list of acceptable Halloween costumes: pirate, slutty nurse, any of our first 43 Presidents,’ she advises, stopping short of Barack Obama. She is referring to the ‘African American themed party’ that takes place in the fictional Winchester University, which culminates in a riot in the preceding film. Indeed, the montage then quickly shifts to partying pictures of white people in blackface, drinking and posing with guns. 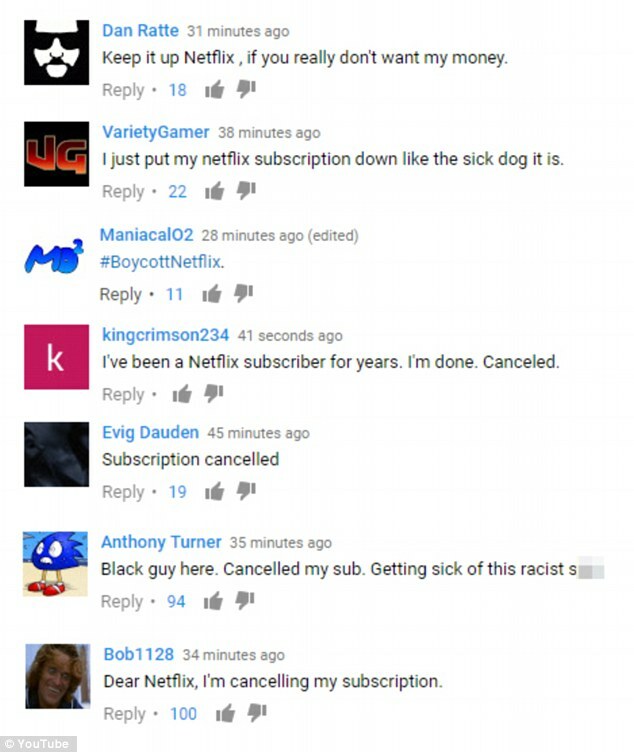 Despite being a satire, the comments section was quickly flooded with furious outbursts, accusing Netflix of anti-white racism, with many claiming they were going to cancel their subscriptions. Within hours of going live, the video had just 2,000 likes, and more than 35,000 dislikes. ‘I have cancelled my Netflix account and will continue until this racist bullsh** is taken down,’ wrote a second. ‘So you want to best racism…with more racism? Have fun with your tanking numbers Netflix,’ commented a third. 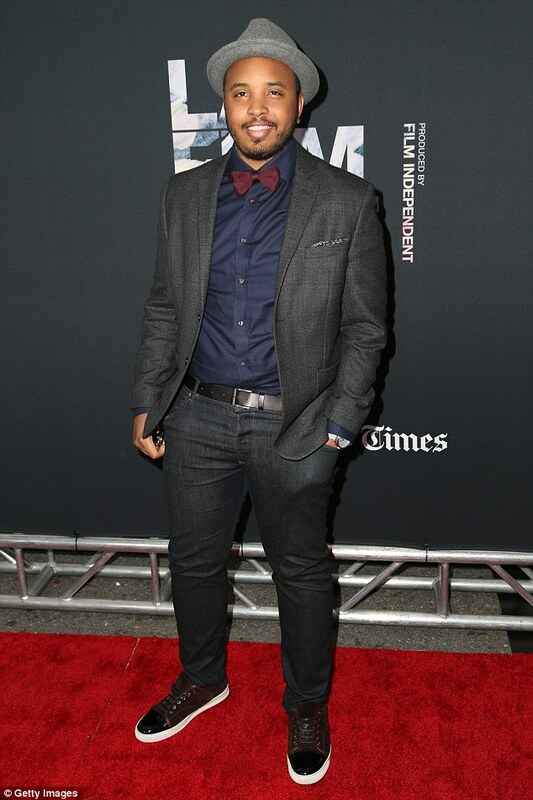 Director Justin Simien faced the same knee-jerk reaction to the film’s title when it was first released. 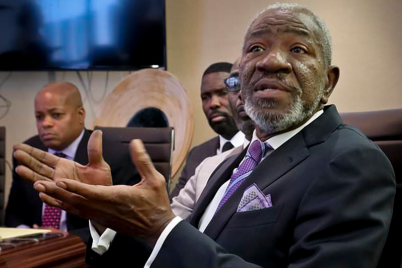 ‘The truth is, my film isn’t about “white racism” or racism at all,’ he said at the time. ‘My film is about identity. There are certain white people that need the black situation explained to them because they really don’t know some of the situations or tragedies that black people encounter or experience on a daily basis. But do we really need to be explaining or Blackness, are ourselves, to white people who only think the way they do because their parents, other family members, friends and peers imposed racism on their minds at pa young age. We are not something that needs explaining we are human beings just like they are and we think and we feel just like they do so what is there to explain? We had to March and we had to fight back in the 60s to gain our civil and equal rights we have come a long way against a very hard headed and intolerant racist white man and we will continue to do so with or without his understanding and that’s why the United Nations is backing the African American because this white Behavior toward us is unfair unjust unreasonable and has to stop.